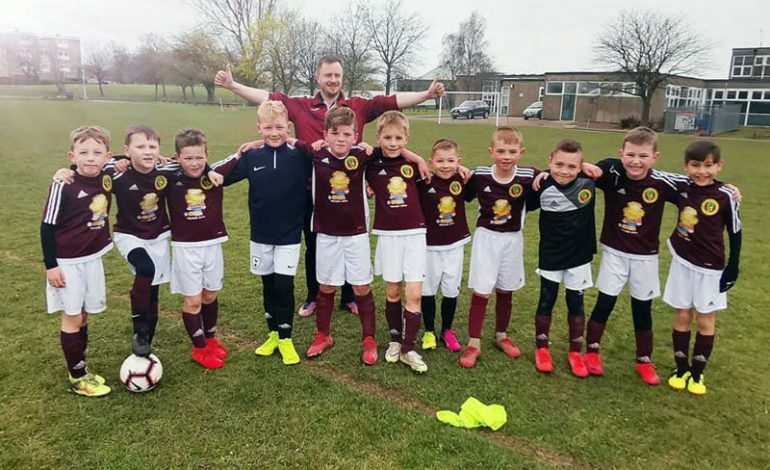 There was a mixture of fixtures for the Aycliffe Juniors football teams this week. Some teams continued league campaigns and others played friendly fixtures. The Under 6’s enjoyed a development game against Darlington. There were some fine performances with Finley and Regan going close to scoring but Darlington ended the match as winners. The Under 7’s White faced Hurworth who were sitting second in the league. After going two goals down Jack R (2) and Jack C scored to win the game 3-2. Due to an excellent team performance the whole squad were named as men of the match. The Under 7’s Juniors played a friendly against Darlington 21st All Stars. After going a goal down they came back to win 3-1 with goals from Jonah, Alfie and Dom. The newly formed Under 7’s Black played their first development game and a brilliant solo goal from Rhys was the highlight of the match. The Under 9’s faced Billingham Synthonia Greens in the absence of their regular manager Scott. Richard stood in and guided the team to their first league win, the final score was 3-1 with Callum, George and Stephen scoring and the whole side named as men of the match. The development game ended in a 1-1 draw with Jack scoring and Jacob making his debut. The Under 10’s White played host to Norton & Stockton Ancients. The visitors started well scoring two early goals. Aycliffe battled to get in to the game and despite a man of the match performance from James they fell to a 9-0 defeat. The development game was much closer with noted improvements from Danny, Jack and man of the match Sam in a 1-0 loss. The Under 10’s Claret played a strong Seaton Carew side at Woodham. The Aycliffe team battled hard in the first half but turned round 1-0 down. Seaton went on to capitalise on some tired legs in the second half to win the match with a depleted home team having only one sub. Roman was named as the man of the match for a spirited performance in midfield. The Under 11’s Black played away at Cargo Fleet. They didn’t start well and against strong opposition found themselves 5-0 down at half time. In the second half Rhys scored but the match ended in an 8-1 defeat. Alyssa was the player of the match. The Under 14’s played away at Seaton United and received a hostile welcome that should not be seen in junior football. The game ended in a 6-2 defeat.